Home » Our Doctors » Samantha L. C. Nogales, O.D. 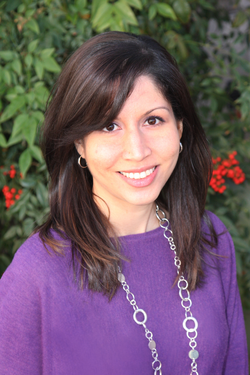 Dr. Samantha L. C. Nogales is an Arizona native born and raised in Tucson. She is a proud alumni of the University of Arizona and received her doctorate from Southern California College of Optometry where she graduated with honors. She then went on to specialize in ocular disease and low vision by completing a residency at the Southern AZ Veteran’s Administration in Tucson, AZ. Active in her profession and with an ongoing dedication to provide excellent patient care, Dr. Nogales has published various scientific, ocular disease-related posters and papers, as well as presented continuing education for the local optometry community. She strives to stay current in all aspects of optometric care and attends various optometry and ophthalmology conferences annually. She is licensed by the Arizona Board of Optometry and is a Fellow of the American Academy of Optometry. Dr. Nogales practices full scope Optometric care with emphasis on ocular disease treatment and management including diabetes, macular degeneration, glaucoma, and “red eyes”; pre and post-op care for iLASIK and cataract surgery; as well as, routine exams and contact lenses. She lives in Northwest Tucson with her husband Thomas and enjoys hiking with her dog, Macy, spending time with her family, and practicing yoga.